“Those concerns lack merit”, Neal wrote in his new letter to Rettig. 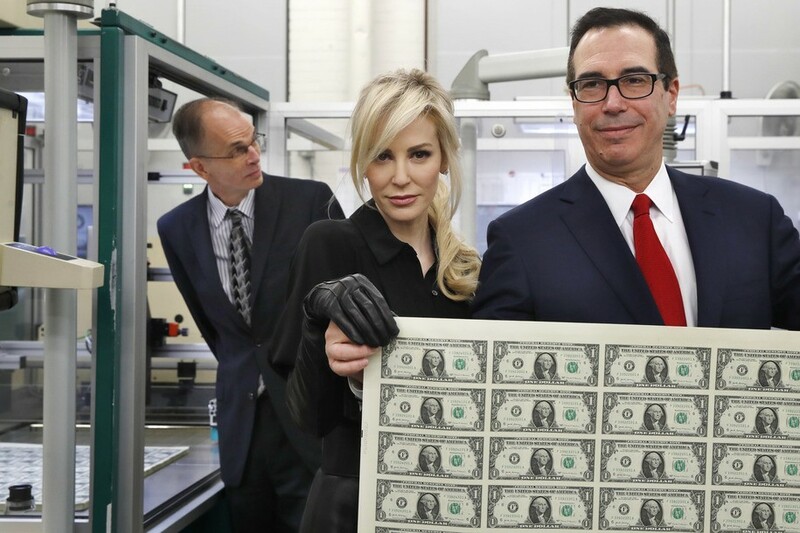 Mnuchin, speaking to reporters at the World Bank-International Monetary Fund meeting, accused Neal of picking arbitrary dates, and said that the implications of Neal’s request are constitutional and go way beyond congressional oversight and precedent. The roots of conservatives’ outrage lie in the 2013 revelation that the IRS had improperly scrutinized Tea Party groups (among others) seeking tax-exempt status. An FBI probe found no evidence of “enemy hunting.” But conservatives have been super miffed at the agency ever since. 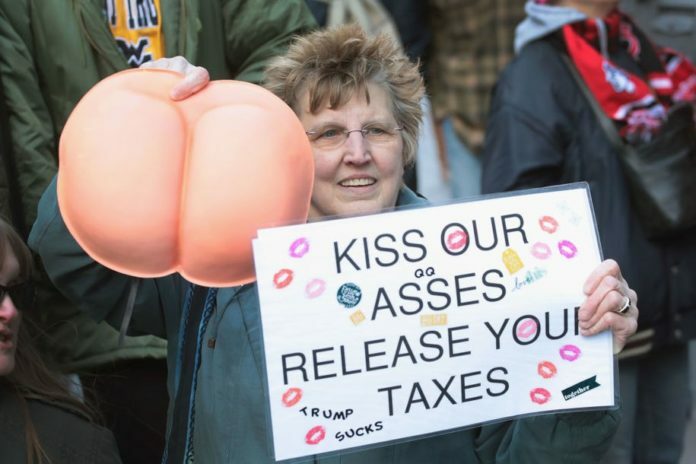 “The government went after people for their political beliefs,” fumes Rep. “Gym” Jordan (R-OH), head of the House Freedom Caucus, which has made IRS Commissioner John Koskinen’s impeachment a pet cause. [T]he past 17 months or so have been a pig pile of lousy days for Koskinen, as conservatives have led a multi-pronged crusade to publicly humiliate him, drive him from office, and strip him of his pension. On September 21, shortly before Congress fled town for the remainder of election, Koskinen had to go before the House Judiciary Committee for a formal impeachment hearing. Those paying attention will note that Koskinen was not running the IRS during the period in question. (That was Bush holdover Douglas Shulman, followed by acting commissioner Steven Miller.) Nor was he in charge of doling out tax-exempt designations. That was Lois Lerner, who resigned three years ago but whose name still sets Republicans’ teeth to grinding. Koskinen was, in fact, nowhere near the IRS until Obama called him in to restore confidence in the embattled agency. Congress confirmed Koskinen in December 2013—and it took all of six months for the new commissioner’s rescue mission to implode. In June 2014, he informed lawmakers that many of Lois Lerner’s subpoenaed emails had been lost in a hard-drive crash, and the backup tapes inadvertently erased. The Treasury Department’s Inspector General ruled the loss of the tapes an unintentional screw up. Conservatives have decided nonetheless that Koskinen must go. The commissioner has been hauled before multiple committees multiple times in both chambers of Congress. House Republicans have accused him of arrogance, dishonesty, obstruction, foot-dragging, and being generally unhelpful in their investigation. Last October, Rep. Jason Chaffetz, head of the Government Oversight and Reform Committee, introduced a resolution to begin impeachment proceedings. The resolution has 73 co-sponsors, and the Freedom Caucus has committed itself en masse to the cause. “Every single member said, ‘We should pursue this,’” Jordan [said]. 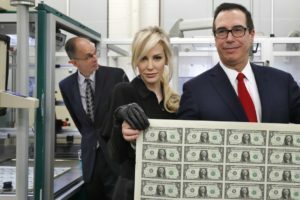 Mnuchin would have the public forget all about how Republicans actually did abuse the IRS to great lengths in pursuit of their cray-cray conspiracy theory that conservative non-profits were “targeted” by the Obama administration. Victimhood is the defining characteristic of modern movement conservatism. In the instant case, Chairman Neal is using an anti-corruption statute, Code sec. 6103(f), adopted in response to the Tea Pot Dome scandal to pursue rampant corruption within the Trump administration. Congress has an active lawsuit in court for Trump’s violations of the emoluments clause. Federal judge rules congressional Democrats may pursue Trump emoluments lawsuit. Trump’s former lawyer and fixer Michael Cohen recently testified that Trump misstated his income to banks (bank fraud) and insurance companies (insurance fraud). Trump’s tax returns and financial records are highly relevant evidence to these claims of criminal misconduct. Trump was also identified as “Individual-1”, the unindicted co-conspirator who coordinated with and instructed Michael Cohen to violate campaign finance laws for which Cohen is going to prison. The only reason Trump was not charged with this crime is because of a bogus DOJ policy. The Southern District of New York and the New York Attorney General’s office are also investigating Trump’s finances. The New York Attorney General late last year shut down the Trump Foundation for a ‘Shocking Pattern of Illegality’ that included “unlawfully coordinating with Mr. Trump’s 2016 presidential campaign.” That civil case has led to ongoing criminal investigations. So, YES, Chairman Neal has several legitimate avenues of investigation squarely within the Committee’s oversight authority to request Trump’s tax returns. It may produce evidence of crimes that should lead to impeachment. 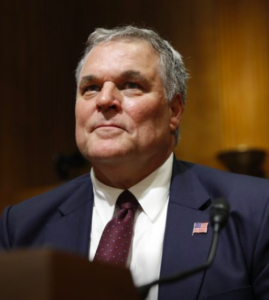 “It is not the proper function of the IRS, Treasury, or Justice to question or second guess the motivations of the Committee or its reasonable determinations regarding its need for the requested tax returns and return information,” Chairman Neal’s letter said. He is correct. So serve the subpoenas, and let’s get it on! A spokesperson for Chairman Neal declined Monday to comment.